The world of Robotics is very exciting not only to the kids and youngsters but also to grown-ups. As robots have become more advanced and sophisticated, experts and academics have increasingly explored the question of what ethics might govern robot's behavior and whether robots might be able to claim any kind of social, ethical, cultural or legal rights. It becomes extremely important for the younger generation to learn about the technology of robotics because robots are going to play a vital role in our daily life in the 21st century. It is important to form a good learning attitude from early childhood because children soak up the knowledge like sponges in this period. 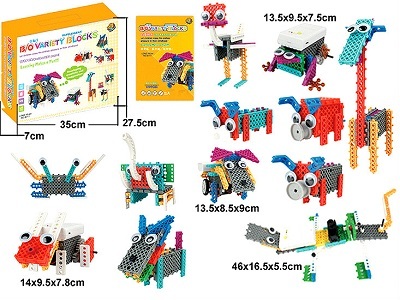 We have robotic kits for every age and every stage in your child's development, starting from the time your child is a pre schooled right up to teen years. While building robots with various sensors, children can activate their brain and develop the creativity. Our Robotic teaching pr0grammes are developed with much care by highly experts in field. We have procured robot kits from world famous manufacturers in the field and a kid at the age of 5 years can learn and build its own robot. Once a kid learns the first stage, he can proceed to stage two and so on. Students will learn the robotic science with fun and excitement. We offer 3-days programme in Robotics in which a child will learn to build 12 different kinds of robots such as . Each child will be provided individual robotic kit, which is a home take away kit, so that the child can also practice at home and create many new robots. Suitable age for this programme is 5+ years. We also organize Robotic workshop for schools, hobby clubs, children clubs or welfare-associations etc. as per their schedule. Registration for the workshop is open. Our Fee for the basic programme of 3-days workshop is Rs.2500/- including the cost of home take away robotic kit. You can register your child online to avoid disappointment due to limited seats.